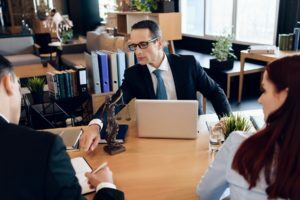 Many businesspeople presume that they are the sole owners of their business and assets, however, the law may think otherwise in case of a divorce between couples. It is evident by a controversial divorce case in 2016, Rupert Murdoch paid her wife Anna Murdoch a gigantic amount of $1,700 million in divorce settlement. In most cases, assets of a couple including a business must be divided between spouses. Therefore, many business owners today are concerned about how a business will be divided in such a scenario. How does business division work? Division of a business, similar to other assets such as a house, vehicles, etc., requires court to take a two-step procedure: characterization and valuation. Characterization includes determination of type of business asset. For instance, it may be a business property which can be deemed jointly owned or perhaps it may be counted as a separate property that may be considered as a personal asset. The latter would not be subject to division upon divorce. Valuation refers to determination of business worth in terms of dollar value. It can be a complicated and complex process and, therefore, requires financial experts and actuaries to review business’s financial position including tangible and intangible property, assets, liabilities and capital. Moreover, they may also calculate expected value of future income in order to determine fair value of business. Evaluation of these two aspects will determine if a business must be divided between spouses or not, and if so, what proportion will be subject to division. Many business owners try to portray their business as less profitable, however, that only makes thing worse. It can be helpful for a business owner to get assistance of an experienced asset division lawyer to find an optimal and useful advice. One party gets ownership of business and other gets a financial compensation. This is the most common method, especially in cases where a business is essential to livelihood of one party. For instance, in case of a law firm, one spouse may not be qualified to run such a business, therefore, will receive financial compensation. Business is sold if the court cannot determine who should be awarded ownership or if neither individual between the couple wants to claim ownership of business. This method may also be used in case a business does not generate enough income to provide fair compensation to another party. Co-ownership can be last resort of dividing a business between spouses after a divorce. Though, it can be quite complicated, especially when a divorce ended on an unpleasant note. However, if a couple can demonstrate that they can run a business together in an effective and professional manner, then they may continue to jointly own and operate the business. For further information about issues pertaining to business division in a divorce or to schedule a free consultation, contact Law Office of Fedor Kozlov at 847-241-1299 to speak with an experienced asset division lawyer on this topic. © 2019 by Law Office of Fedor Kozlov, P.C. All rights reserved.